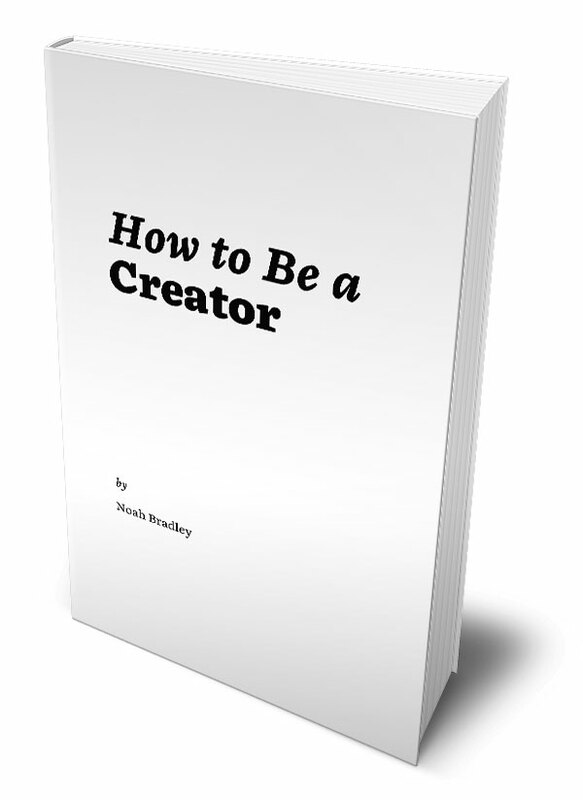 I’m writing a book on how to learn and live as a creator. It’s a book for artists and musicians, developers and dancers, students and professionals. I’m sharing everything I wish I had known when I got started, all of the lessons I’ve learned along the way, and what I’ve observed that has helped others make their best work. I'm Noah Bradley and I'm a creator. I founded Art Camp to help artists all over the world learn to make better art together. I'm making a world in The Sin of Man. I like to write. I'm the guy who told everyone “don't go to art school.” I also shared the 12 year journey of how I became an artist. I put together a list of the 10 books every artist must read. So if you like making art, head on over to my resources for more of that. I sell prints and playmats of my work. I run a microblog at noahbradley.blog with all sorts of sketches, thoughts, and witty one-liners. You can also follow it on Twitter if you'd rather.